Kilik is one of the characters from a classic series of melee combat console video games, Soul Calibur. He first appeared in 1999 (1998 if you count the arcade release), with the first Soul Calibur game. Kilik has some pretty good versatile martial arts skills and a few artifacts and mystical quirks to flesh him out. So he’s an over all good balanced character to have on writeups.org as well as being useful for martial arts campaigns. Group Affiliation: Partner of Xianghua Chai and Maxi. Height: 5’6” Weight: 139 lbs. 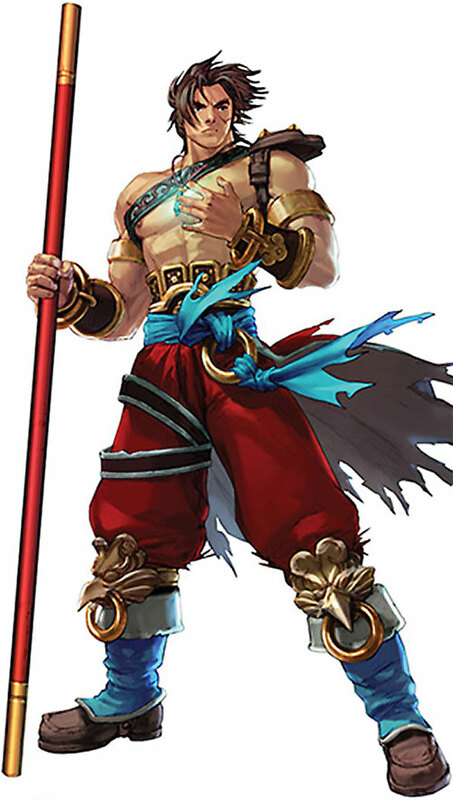 Kilik is a highly skilled warrior who has been trained from birth by temple monks. Even amongst his peers he was one of the most highly capable fighters. He was thus chosen to inherit the Kali-Yuga, one of the temple’s sacred treasures. Kilik is extremely agile and his fighting style is pretty acrobatic. Kilik is a small Asian man who’s in pretty good shape. He has a small scar under his left eye and often goes bare chested. He usually wears loose bright read pants with brown boots and bracelets as well as a few wrappings. He also wears a leather band around his chest to hold the Dvapara-Yuga in place. Sometimes he wears an open tattered red coat over this. 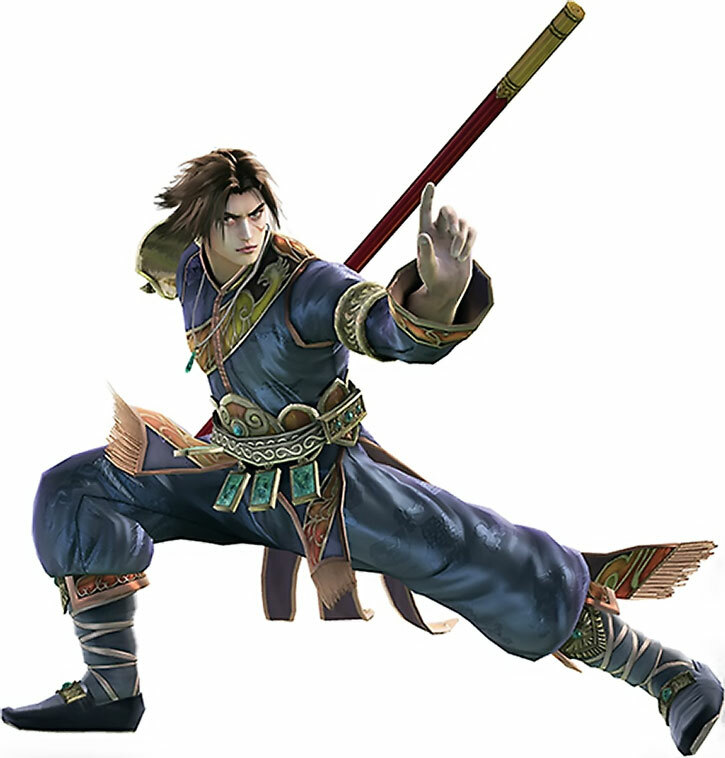 His alternate costume looks more traditional Chinese in design and has several gold bands, belt, and a shoulder bracer. Kilik is very much a traditional monk in both mindset and practice to the point where he’s almost a stereotype from a Kung Fu movie. He is a humble and pious man who trains constantly and rigorously. Kilik austerely believes that he has to atone for the sin of killing his fellow monks even though it was the Soul Edge’s Evil Seed that tainted all of them and left him no choice. He was even willing to forsake the pure love of Xianghua for what he perceived to be the greater good. Awareness may only be limited to Soul Calibur events. Exorcism can only be used by striking targets with his staff — meaning that he’s likely to seriously wound anyone he’s trying to purify. Iron Nerves, Languages (Mandarin), Lightning Reflexes. Xianghua Chai (High), Maxi (High). 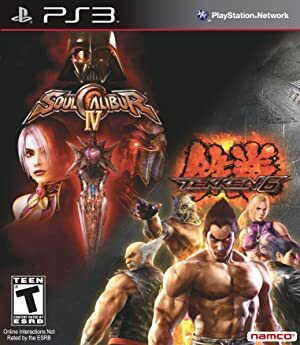 Guilt (Slaughtering monks and being tainted by the Evil Seed), CIA (Eradicating the Soul Calibur’s evil taint and atoning for his past), MIA (Xianghua Chai). When the Evil Seed corrupted Kilik and Kali-Yuga, the only things that kept him from going completely berserk was the power of Dvapara-Yuga, along with Kilik’s inner strength. 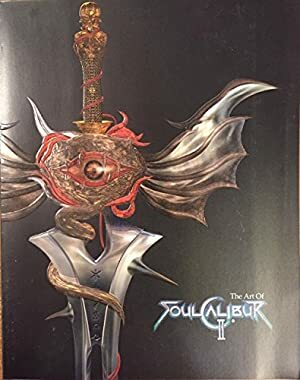 If Kali-Yuga had fallen into the hands of someone else, it would have meant the creation of another weapon like Soul Edge. These are considered master work and thus have slightly higher stats. Dvapara-Yuga also has the miscellaneous effect of neutralizing the taint of the Evil Seed. Until Edge Master purifies Kilik of the taint of the Evil Seed he will go berserk if the Dvapara-Yuga is ever separated from his person. This never happened in the storyline, but his motivation would likely become Nihilist and he would gain Catastrophic Rage, CPI (homicidal mania) and likely go on a killing spree. His mental stats may well be reduced as well due to bestial unthinking nature. Both Kilik’s Mind and Spirit start off around 5 and gradually go up to their current level throughout the games as he trains more and more to rid himself of the evil taint.